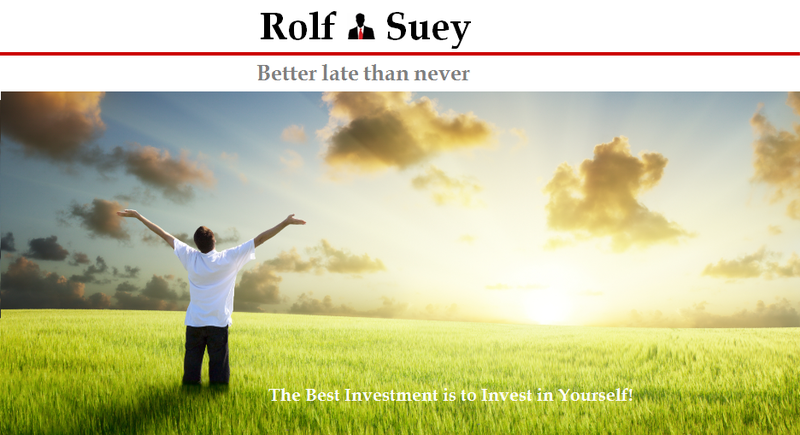 Rolf Suey - Better Late Than Never: Is this a right time to buy: DBS, OCBC, UOB or Keppel and Sembcorp? When China circuit breakers triggered twice this week, STI plunged. Yes, three bank stocks and two Singapore conglomerate Keppel Corp and Sembcorp with profits mainly made up from Oil and Gas industry have their share price tanked as well. Many will reckon that this is the best time to buy these blue chips. However, did you ever wonder why these five stocks dropped more significantly than other blue chips in the Telco, Medical or Transport etc sectors? In volatile period like this, banks will be hit the most. The worries of Non-performing loans (NPL) rise. Corporate companies with exposure in China, who borrowed US$ to fund growth during the good times without hedging the currency, will be faced with increasing debt load with the CNY devaluation now. There will be capital outflow and bonds with high yields will be de-rated to junk, causing increasingly NPL. Furthermore, bank stocks are always subjected to lower valuation during an economic turmoil than most companies. DBS and OCBC have PEs of 4.6 and 7.2 during the GFC. Now DBS and OCBC PEs are both 9.1 with possible downside risks of 20 – 50% still. Ok, Singapore banks are one of the strongest in the world. I agree. But does it mean that now is a good buy? Keppel Corp and Sembcorp may be near the GFC trough valuations or lower. But do you know why? I do not have to explain at which level oil price is now. Then again, how many are optimistic about oil price rally in the short term 1-3 years? Bloomberg article has said that Petrobras’s Sete Brasil is mulling a bankruptcy filing if the current restructuring is not helping. Do you know how many rigs Keppel and Sembcorp have in orders for Sete Brasil during the boom time order in 2011/2012? That is astounding 50% of the backlog for each of the company. Do you think Sete Brasil has already paid downpayments for all of them? Those rigs with downpayments paid, do you think Sete Brasil will continue to pay progressive payments? If Sete Brasil cancels all the rigs, what will happen? Keppel and Sembcorp to sue Brasil government? Even if Sete Brasil does not cancel, they will just stop paying and what will happen next? It is likely then, Keppel Corp and Sembcorp become asset owners of these rigs and gearing will be drive up? That is not to consider other O&G companies that can potentially cancel or postpone their contracts as well! Ok, Keppel and Sembcorp are diversified conglomerate and not all about O&G. I agree totally and they will continue to evolve. They will definitely be able to weather this crisis, consider their track records. Moreover they can reduce their cost greatly because most of their employees' salary are variable bonuses. Yet, the marine division of Sembcorp Industry contributes ~>40% of SCI bottom-line. For Keppel’s case, out of 1.885 bil they generated in net profit in year 2014, 1.040 bil was derived from O&G! That is >55%. Now think again about the so-called diversification! Do you think the forward “yield” of 5-8% dividends based on 2015 payout is still possible in 2016? Ok, you are a long term investor! During a bear, it is better to stick with stocks you are most familiar or has traded many times over the years. It gives you more mental strength during volatile movements. It is only when you are calm and experience, that you are able to make the best investment decision! Perhaps I will possibly trade than to be a long term investor for banks and O&G stocks now. This also explain clearly why I sold Sembcorp Ind in August at S$3.3 earlier at a hefty loss of 25% anticipating the current situation - Refer here. Now the reason is obviously clearer! yes. Initially wondering to buy more Kepple Corp or not. Anyway I just buy 1 lot. As for dbs and ocbc, I have confidence on them. Télécom shares. I have quite a lot of singtel. Will not add more and my price for singtel not high also. Unless drop below 3.4. I will consider. Maybe will add medical/education sector stock. As for transport. There will be more competition for smrt, comfortdelgo and sbs as new bus service from oversea will be introduced soon. Now got uber also. how do u think? about transport sector? I think all the stocks mentioned has good fundamentals and no chance they will go bankrupt. The question is how long will they take to regain their capital back to the good old times! And if their dividends esp for the O&G are still sustainable. And if there are better stocks around? Of course, there is no right and no wrong answers as long as you know wat is right for u! For me a simple answer is No. Besides, i have been thinking this time "O&G" may be really some differences - Like America has allowed export of oil for the 1st time; i think it's matter of time more and more cars can run on batteries, sooner than later; and more and more equipments can run on solar power cells. When i was touring Turkey some years back, i observed petrol there costs about $3 to $4 Sing. So every house-hold's roof tops have solar panels without fail. But i think the "immediate" impact on the price of oil is cars running on batteries completely. That's have to evaluate O & G into future base on ???? Nothing stays the same forever! I agree. And I am sure both Kep and Sembcorp know too, as they are diversifying their businesses. Overall I think Kep did a better job than Semb on this aspect. I think the Sembcorp price drop is overdone. I like Sembcorp because it participates in the full chain of energy supply from building rigs to owning power stations. So in times of low oil price, the feedstock to their power plants will be cheaper and the loss in the oil price and rig jobs should be offset by the power plants feedstock cost. It is the similar logic that I apply on Wilmar, in times of low oil palm prices, the feedstock for their refineries are cheaper and they would be able recover the lower margin from raw oil palm prices from their refinery. Admittedly both share price are not looking too good now < $3, but they should be able weather the volatility better than those pure play oil producers or plantation owners ( for Wilmar case). Frankly, i think SCI price is attractive if not for the potential cancellation of so many rigs. And unlike SCM, they do have some very interesting new projects steaming ahead. Hmm.. I am not familiar with how significant the low oil price will have a cost benefit to the power plants, but what I am sure is the cancellation in rigs resulting in lower rev/profit will more than offset the gain the low oil price as feedstock. Maybe the cutting of variable cost of the employee will help a fair bit. This is already a long outdated story for people in the industry. Now u probably know the reason why I am quite skeptical. More to it than just the media news! But I don't mind to hold and cut dividend for these 2 stock minimum 3 to 5 years. I am super patient kind. As long as I alive, I willing to wait. Just like I keep waiting new medicine for my illness and miracle happens. Good to hear that. :-) still I wish u at the best of health and at heart with all the loving pple around u. Promise not to ever let the stock market affect ur health or the pple ard u. It's really not worth it. i was wondering if PE is a good gauge for banks. No. PB is a better gauge than PE. But perhaps for comparison purpose of 2 different periods, now and GFC, it is not too bad a yardstick to use. Yes. :-) But to guage a bank, there are so many components in consideration of today's crazy environment conditions. Therefore, as I mentioned earlier, it's more for comparison of two diff periods in this case. Bank? - How about the amount of "NPL"? Bank is nothing if they don't loan out their money. NPL is SPL now - "still" performing loan, until the day it becomes junk! So difficult to judge what is NPL at present versus the future! But seriously, Sg banks are still the few strongest in the world! Little worry about the fundamentals, except the craziness in the stock market that will affect their valuations! I think o&g will take few years to recover. Let see. It's not difficult to speculate O&G since those who predict will always have 50% chance of being right! This is unlike many other industries where logic and fundamentals can at least give u a more accurate or more than 50% correct prediction base on good judgement n experience. So any credit in getting the O&G right? The same co that predict oil price will tank to $20 is also the co that predict the peak of $200! So if who can predict the direction? Refer to my earlier article here. For me, when I m not sure, I stay away! Otherwise if I touch, I treat it as "speculative trading"! this article had sent shiver down my spine. the quoted figures, which run into billion, are worrying and instead of paying for my sembcorp share that i bought on monday, i am liquidating them at a loss. I am a long term sembcorp investor but it pays to look at the current situation as plainly laid out in your blog. Thanks for a good post. For the record, the liquidation decision although at a loss is a good one on hind sight. I am glad u made a decision for urself after deep thought, not bcos of my post! :-) So whether u add more? or sell?, at least it was during a time when u already see the two or even three sides of a coin, n in a time when u have a peaceful mind. No regrets after that! The info about Sete Brasil are hard facts already published much earlier but some may have miss it, having too engrossed in the ticker tape. It was also already an old known news in my industry. I just do my part to highlight some of the things that mainstream can miss out!